What's a week away in Cornwall without a sampling of the local delights? 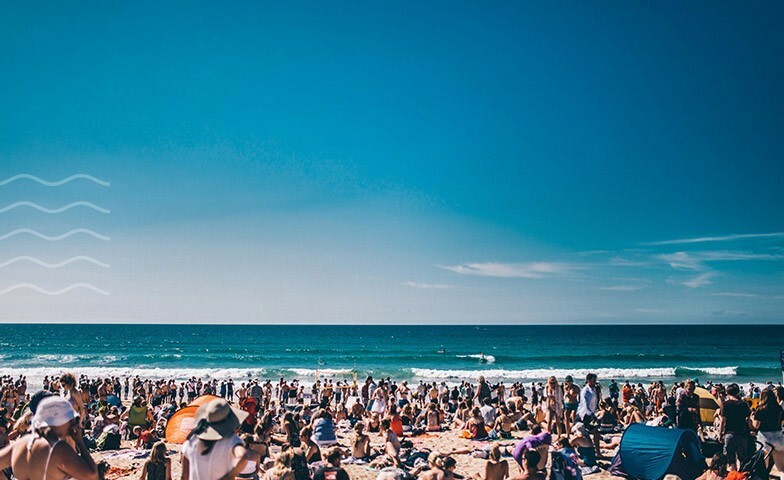 Newquay is king of the UK surf scene, with consistent waves and a fantastic array of beaches to suit different tides, weather conditions, mood and ability. 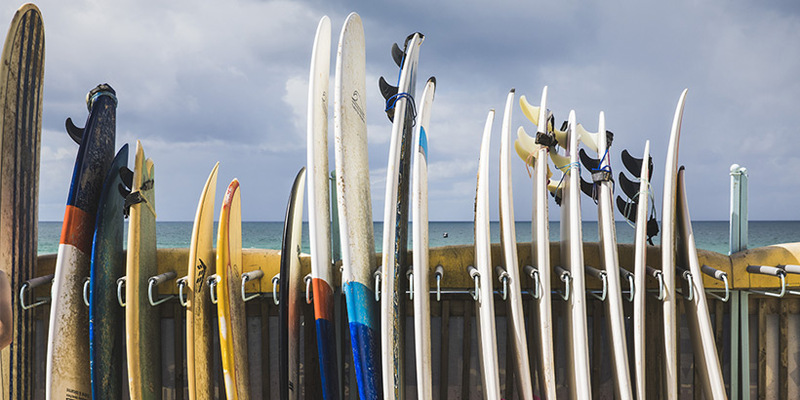 Share the stoke and learn to surf with one of our Boardmasters packages below. Located on the golden sands of Fistral Beach is Fistral Beach Surf School who will take you on your journey to become a Boardmasters surfer. Throughout your 2-hour lesson you will be taught the necessary fundamentals to get you up on your feet, shredding. We teach you a variety of ways in which you can master the pop up, everyone has a chance to conquer the Atlantic Ocean and ride the waves. Get the whole family involved and make summer memories that will last a lifetime. The instructors at Blue Surf School specialise in teaching families, making sure that group sizes are always kept intimate. 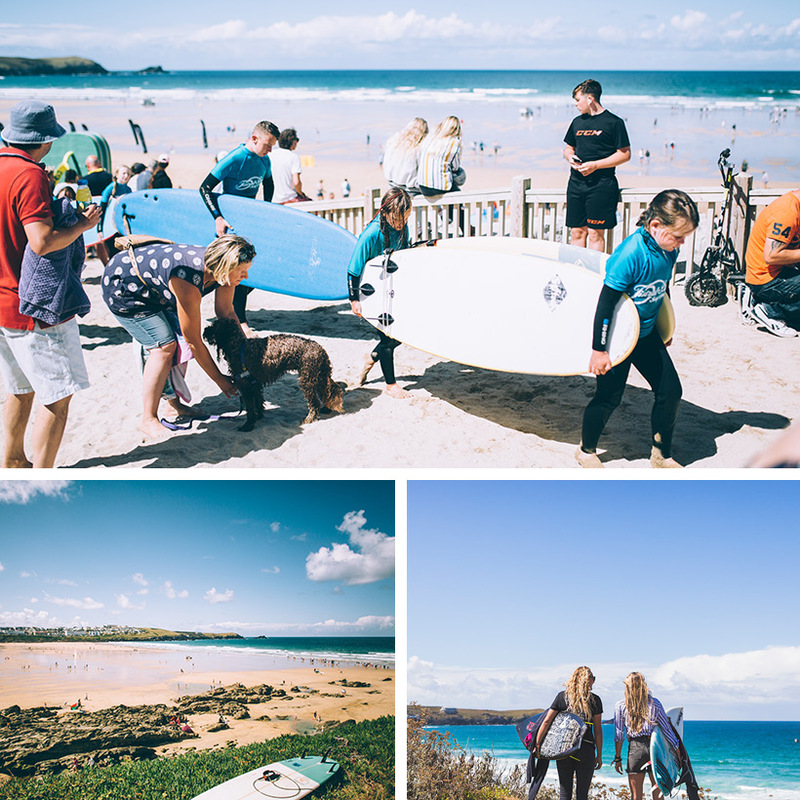 A family surf lesson is a must when visiting Cornwall, and will be one of the highlights of your festival experience. • Packed with action, fun, laughs and most importantly, lots of waves! Perfect for beginners who are looking for an introduction to surfing, or those looking for a quick surfing fix. 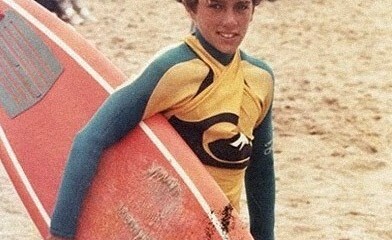 For students on a first lesson we will introduce all of the skills and techniques necessary to surf with control and safety. You'll be riding the waves with style! If you have already surfed, then we will use this session to build on more advanced techniques, including paddling, turning and reading the ocean. *A declaration form must be filled in and completed on arrival at the Surf School before a person can take part in any course. Watergate Bay is known for some of the best waves in Cornwall, and these lessons are located just a stones-throw away from your tent. Surfing for the first time can be nerve racking. Our coaching is designed to give you confidence in the water. All lessons are matched to your ability and the conditions on the day, getting you safely into the water almost every day of the year. Throughout your 2-hour lesson you will be taught the necessary fundamentals to get you up on your feet and shredding. After we have got you in your wetsuits we will take a short walk to the shoreline for a safety talk and a quick warm up. Once we are sufficiently warmed up we will start our venture into the sea where we will start to ride the board in a prone position, ensuring we are comfortable with the board before tackling the main objective, standing up! Next step is tackling the pop up and progressing to riding the wave. We teach you a variety of ways in which you can master the pop up, everyone has a chance to conquer the Atlantic Ocean and ride the waves. FISTRAL BEACH SURF SCHOOL - Located on the golden sands of Fistral Beach is Fistral Beach Surf School, a family run business that has its doors open all year. The school offers surf, bodyboarding and stand up paddle boarding coaching to all ranges of abilities. Their dedicated and friendly team have over 20 years of experience and strive in providing professional coaching. Their equipment is carefully handpicked providing the best quality possible to ensure that you have maximum satisfaction, all equipment is included in the lesson prices. No matter what time of year Fistral Beach Surf School has you covered and you are guaranteed to be in safe hands. FISTRAL BEACH SURF HIRE - Located next to the surf school Fistral Beach Surf & Beach Hire is a dedicated surf hire centre that takes immense pride in sourcing the best equipment. Stocking kayaks, SUPS, bodyboards and surfboards of all varieties, from beginner foamies to custom hard boards. Most recently the hire centre has stocked a wide range of softech surfboards and hybrid shred stick beater boards, which can be utilised in all conditions. You are guaranteed maximum enjoyment in the water and on the beach. Open all year ‘round the hire centre has all the equipment to keep you stoked and toasty no matter what the Atlantic Ocean throws at you, from toasty summers to frosty winters the hire centre has you covered. ESCAPE SURF SCHOOL - The Escape Surf School is proud to offer a total surf experience in Newquay, the home of UK surfing. They have been operating for 13 years and provide surfing lessons 12 months of the year, 7 days a week. Their team of surf coaches, all ISA and RLSS qualified, led by 2015 British Masters Surf Champion & 2016 English Masters Surf Champion Mike Young, offer a lot more than just a standard surf lesson. NEWQUAY ACTIVITY CENTRE - Newquay Activity Centre is your one stop destination for awesome outdoor ocean adventures in Cornwall. 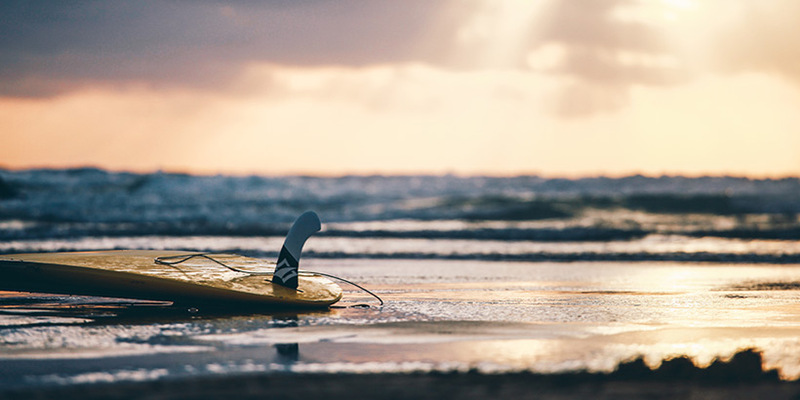 Whether you want to learn to surf, bodyboard, coasteer, stand-up paddle or even try out their legendary Super SUP, Cornish Challenge and Surf Survivor activities – these guys have it all!